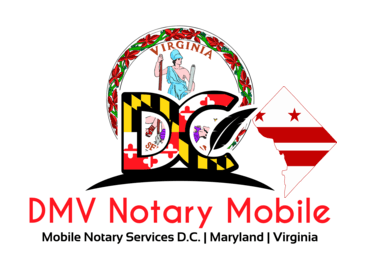 Why Should I Need a Mobile Notary? A mobile Notary is a Notary Public and by many is considered a public official. Also in Washington DC and Maryland (and probably all states), a background check is run on all persons applying to be a Notary Public. Notaries are trusted individuals who specialize in verifying identity. They are almost always not a lawyer and therefore cannot give legal advice or prepare legal documents for you. They are there simply to ensure that the person signing the document is actually the person that is supposed to sign the document. Someone recently asked me why they should use a mobile Notary. It gave me pause then I remembered there are many reasons to take advantage of mobile notary services. * A mobile Notary travels to you, offering you the convenience of staying where you are. This is especially helpful if you are at work and cannot get away. We also go to hospitals, assisted living/memory care, towing yards, and anywhere convenient for you. * A mobile Notary is often available after regular business hours, on weekends, and holidays. We are available 24/7 for those emergencies like when you remember you need a document notarized so your child can go on a field trip Monday morning and it is 11:00pm Sunday night. * A mobile Notary can notarize any document needing notarization unlike notaries at your bank or credit union. In recent years, many laws now make it a conflict of interest for a notary employed by a financial institution such as a bank or credit union to notarize a document dealing with money. This could be a retirement distribution form or simply a will or power or attorney. * A mobile Notary may offer additional services other than notarizing documents. We also will print documents and bring them to the signers. This is great for a lawyer who is across town from the client. Neither lawyer nor client must travel to get the document. In many cases we will deliver the document back to the lawyer. A great way to find a Notary in your area is to do a Google search "notary near me" or "mobile notary near me".